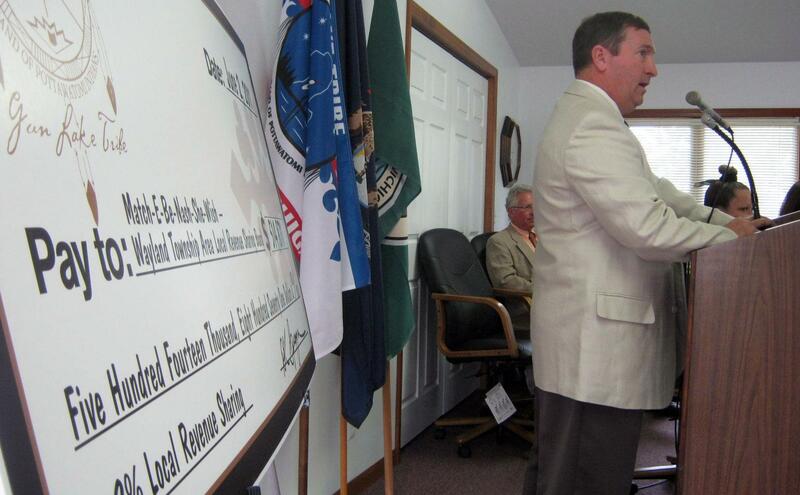 Leaders of the Gun Lake Tribe presented the state of Michigan with its first revenue sharing check back in 2011. Making state lottery games available online has resulted in a disagreement between the state and a native tribe. 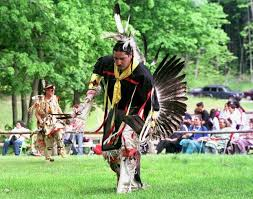 Twice a year the Gun Lake Tribe gives a big check to the state of Michigan. Last time, in December 2014, it was more than $7 million. The money comes from the tribe’s casino, just south of Grand Rapids. But this summer, the tribe decided not to pay the state. It says the state expanded gambling opportunities within the tribe's “market area” when the Michigan Lottery started putting games online last year. “Clearly, when the tribe and the state negotiated our gaming compact we discussed Internet lottery. Both parties agreed that if the state introduced Internet lottery sales or expanded other forms of electronic gaming to social clubs within the tribe’s market area that the tribe would not have to make state revenue sharing payments,” James Nye, a tribe spokesman said in a written statement. The money went to Michigan’s Economic Development Corporation. “It goes without saying that the scale and scope of our program must be reduced,” MEDC CEO Steve Arwood said in a written statement. “The budget reduction will include an impact to staff. While staff details are currently being evaluated, it should be understood by everyone that MEDC could be losing some truly great, hard-working and talented people, who are committed to the citizens of Michigan,” Arwood wrote. Officials with Gun Lake and MEDC declined an interview. Jeff Holyfield, Director of Public Relations for the Michigan Lottery, said he doesn’t recall the issue coming up as Lottery Director Scott Bowen discussed making online ticket sales available with state lawmakers and Governor Rick Snyder’s office. “From our perspective we’re offering the same games in the store. We’re just allowing them to buy online,” Holyfield said. He says the same games are available at more than 11,000 retailers statewide. The state started beta testing Michigan Lottery games online in August 2014. A soft launch took place in the fall. Holyfield says there are about 160,000 registered users now. Players must live in Michigan. Holyfield says they estimate online sales will add $480 million to the state’s School Aid Fund in the first eight years of operation. “There are discussions about different interpretations of the compact,” Dave Murray, one of Snyder’s spokesmen wrote in an email. Murray said Snyder has met recently with tribal leaders about the dispute. Both parties say they look forward to a resolution. The state and several local governments are getting more than $2.5 million from Gun Lake Casino. It’s the first revenue-sharing payment since the casino opened in February. More than $500,000 goes to one city, six townships, Allegan County and a public school district near the casino about 30 minutes south of Grand Rapids. Wayland Township Supervisor Roger VanVolkinburg is not the only one who underestimated how big the first check would be. The Urban Relocation Project after World War II created one of the largest movements of Indians in American history. The idea was to lure Native Americans to big cities, where jobs were supposedly plentiful. 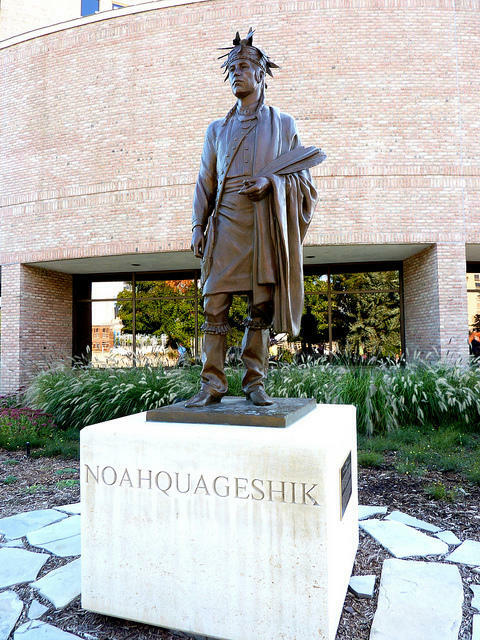 A new project will collect the stories of the urban Native American experience in West Michigan. It's called Gi-gikinomaage-min, which translates to "We Are All Teachers." Belinda Bardwell is with the Grand Valley State University Native American Advisory Board and a member of the Little Traverse Bay Bands of Odawa Indians. Levi Rickert is also a member of the GVSU Native American Advisory Board. They joined us on Stateside today. Bardwell and Rickert say project has some urgency because Native American communities are quickly losing elders, and it's important to preserve their stories and knowledge so younger generations can learn from their past. Rickert says his grandparents moved to Grand Rapids for better opportunities, and in his family’s case, the move was positive. His sister graduated from the University of Michigan and became the first Native American dentist in the country. This is in contrast to his grandfather, who Rickert says had a fourth-grade education. Bardwell says her mother experienced racism while growing up in Petoskey, and moved to Detroit before finally moving to Grand Rapids, where Bardwell was raised. The public is invited to attend a campus dialogue on Wed., Nov. 19 from 6 p.m. to 8 p.m. at GVSU's Allendale Campus. You can get details on the events calendar here. *Hear the full interview above. Traverse City has become the second city in Michigan to recognize Indigenous People's Day on the same date as Columbus Day. Angeline Antoine is a member of the group Idle No More Michigan that put the resolution before the Traverse City City Council. She says Columbus never set foot on American soil -- and he mistreated the natives he came into contact with. "If we can recognize these truths, then we can open dialogue for reconcialiation and break down the barriers between the native and non-native community," she says. Officials from the U.S. Department of Justice were at Eastern Michigan University this week to meet with President Susan Martin and a Native American student group over the school's continued use of its Hurons logo. The retired logo depicts the painted face of a Native American with feathers.